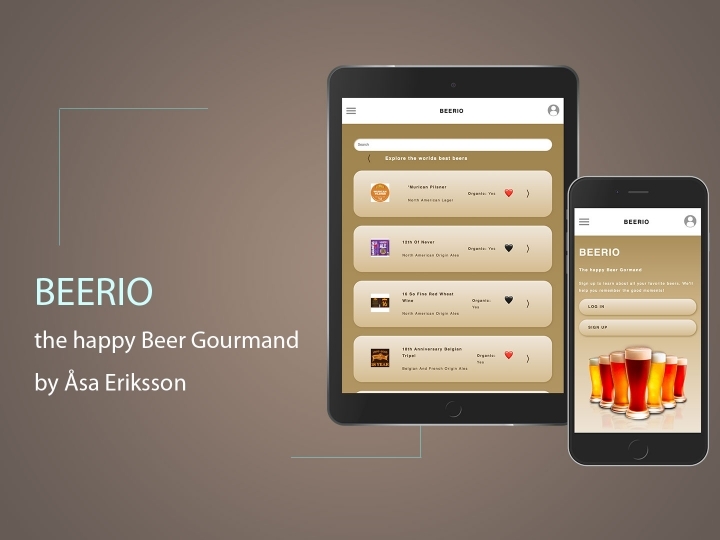 Beerio is a web page for “The Happy Beer Gourmand”. 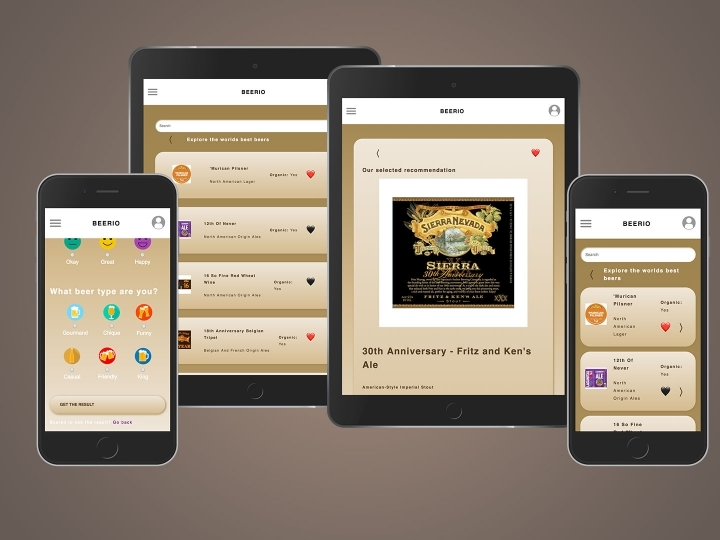 It give the users information about beers and let them save their favorites and receive recommendations for beers specifically adapted to their personality and mood. It was coded with both back-end and front-end. An external API, BreweryDB, is used to receive all the information through the backend.